The Max Scheler Society of North America invites members of the international community of scholars to participate in their biannual meeting. This year’s meeting will convene in conjunction with the meeting for the Central Division of the American Philosophical Association, Feb. 26-30, 2014 at Palmer House Hotel in Chicago, IL. Our sessions are tentatively scheduled to take place on Thursday, February 27 from 9am-12pm and Friday, February 28 from 7pm-10pm. 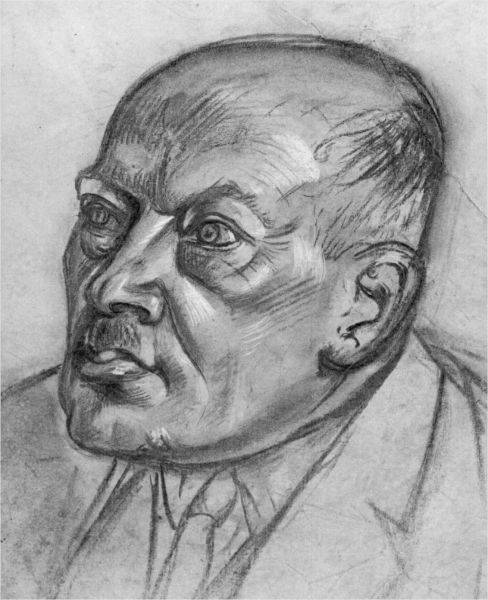 The intent of the society and the meeting is to foster a critical discussion of Max Scheler’s work and its broader philosophical significance. Papers working to show the relevance of Scheler’s thought as it pertains to present philosophical discourse or that develop new themes in his work are encouraged. Participants will have about 35 minutes to present their work. Though completed papers are preferred, abstracts of at least 500 words in length will also be considered. Deadline for submission is October 15, 2013. This year we are pleased to announce that we will be offering a $1000 travel grant in honor of Manfred S. Frings. The award will be granted to a graduate student or junior faculty member based on the strength and quality of their submission. If you would like to be considered for this award, please indicate such on your cover sheet. All submissions can either be sent electronically or via post to the contact information given below. Because all submissions will be reviewed blindly by the selection committee, submissions should have a separate cover sheet with name and contact information. Notification of acceptance will be sent out by November 1. The XII International Max Scheler Conference (May 22-25, 2013) just closed in Erfurt, Germany, after three and a half days of intense work, opened by charming Cello and Violin performances by young musicians of the local Conservatory, and introduced by a thought provoking address by the current President of the Max Scheler Gesellschaft, Prof. Dr. Michael Gabel, Professor of Fundamental Theology at the University of Erfurt. Hosted by the “Coelicum”, or the high hall of the Catholic Theology Faculty of Erfurt University, just under the heavenly vault, among the spires and steeples of Erfurt’s cathedral, the Conference hosted a series of quite secular papers pretty loosely related to its general subject, “Wurzeln der Technikphilosophie. Max Schelers Technik- und Zivilisationskritik in unterschhiedlichen gesellschaftlichen Kontexten”. Scholars and philosophers from several countries, and among them those who translated/edited Scheler’s works into the corresponding languages, alternated presentations and discussions on practically all the topics of Max Scheler’s wide corpus. The Conference hosted representatives from the United States (Zachary Davis, New York; Eric Mohr, Pittsburg); France (Olivier Agard, Paris); Russia (Mikhail Khorkov, Moscow); Latin America (Enrique Munoz, Marcello Chaparro, Thalca, Chili; Ricardo Gibu, Angel Xolocotzi, Mexico); Ireland (Susan Gottlöber, Maynooth); Italy (Daniela Verducci, Macerata; Andrea Bartoletti, Leonardo Allodi, Bologna; Guido Cusinato, Verona; Roberta Guccinelli, Lucca, Roberta de Monticelli, Milan), Czech Republic (Hans Rainer Sepp, Prague) and Germany (Joachim Fischer, Dresden; Ulrich F. Wodarzich, Worms; Wolfhart Henckmann, Munich; Arthur Deppner, Augsburg; Stephan Fritz, Freiburg; Anna Piazza, Erfurt). On the same occasion, the Scientific Board of the Max Scheler Gesellschaft was extended and partially renewed. After expressing their gratitude to the outgoing President, Prof. Michael Gabel, the assembly unanimously elected Prof. Guido Cusinato, one of the most active Scheler editors and scholars in Italy, as well as a reputed author in phenomenology and metaphysics, to its Presidency. The next International Conference of the Max Scheler Gesellschaft (2015) will be held at the University of Verona, Italy. The President elect’s program envisages a deep renewal of methods and horizons, which would open up the Society’s work to a steady confrontation with the most challenging subjects and research programs in phenomenology, the cognitive and the practical issues in contemporary science and philosophy, included philosophy of mind and more generally analytical philosophy. Last but not least, it’s our pleasure to report the announce, given on occasion of this Conference and of the centennial anniversary of Formalismus’ First edition (1913), of the bilingual, German-Italian edition of this masterwork, edited by Roberta Guccinelli, also author of the new Italian translation and of an Introduction: Max Scheler, Il formalismo nell’etica e l’etica materiale dei valori – Nuovo tentativo di fondazione di un personalismo etico, Classici Bompiani Testi a fronte, Milano 2013.